So a whole bunch of new Family Finder autosomal DNA results came in this week over at Family Tree DNA, and The Legal Genealogist has her fingers crossed one more time. There are some promising leads in this batch. There’s at least one more possible link to the Alabama Battles family that I think we’re descended from. And the one that tickles me no end? I’m going to be speaking about autosomal DNA on Tuesday, November 12th, to the Central Jersey Genealogical Club at the Hamilton Township, New Jersey, Public Library (more detail here — come out and join us!) — and my contact for the program turns out to be a likely candidate to be a distant cousin in the Baird line I’ll be talking about! I keep the results for all of my family members in a spreadsheet so I can sort by different factors (who we match, common surnames and the like) and I try to remind myself of what I say in every lecture I ever give about DNA testing: you have to be patient — the match(es) you need may not show up for years. Two and a half years ago, only two members of my family had taken the autosomal DNA test (I’d tested and a maternal uncle had as well), and a single individual using one email address turned up as a match to us both. I wrote to that email address and didn’t receive a response. That’s not really a surprise. With only two members of my family who’d tested, and only one person on the match’s side, I didn’t know a whole lot about where the match might be and my email was necessarily a bit vague. But with these new results this week, I noticed that another match using the same email address as the first turned up as a match, and a fairly strong one. I now have a bunch of folks from my family who’ve tested (another uncle, an aunt, some additional cousins) — and this new match matches an entire group from one line of my family. I went back and looked at that first match from two years ago, and she matches most of the same folks on my side. So I did something I hadn’t done in a while: I sorted the matches based on the email address used. Now I can send another email. I can send along a report showing the line I think these matches may be in. I can explain why I think the match may be in that line. And, at a minimum, I can ask the person managing those kits what all of the people on that side have in common — and offer, in return, a full explanation of what all the people on my side have in common. Try and try and try and try and try, try again. Good luck! I found someone like that–single email address linked to 6 tests that all matched me in a particular section of a particular chromosome–and emailed her/him 10 days ago. Still no response. You seem to be happy about that illustration because it has some sort of good info about your DNA matching. I’m glad for you. But what on earth does the illustration display? There are no axes for the graph, no labels on the bars and no callouts in the figure. Back when I was a rocket scientist we never would have displayed an illustration without callouts or without a caption. What is that thing and what does it show ?? Sorry. That’s why you were a rocket scientist and I’m not! That is a chromosome browser illustration showing that several of the individuals who match my uncle do so in exactly the same area of chromosome 6. The chromosome browser is a standard way of reviewing autosomal DNA matches: if several people match you and match each other in the same area of the same chromosome, it suggests that the segment you all share was inherited from a common set of ancestors (rather than resulting from random chance). It tells you it’s worth investigating further, especially where, as here, the length of the shared segments and the overall DNA in common is substantial. What length of a shared segment is considered substantial enough to investigate? Why is someone with 21 shared segments a 3rd to 5th cousin and someone with 16 a 2-4th? How is shared cM different from shared segments? (questions from the chromosome browser you got me playing with). And why is the number on the browser different from the total shared cM listed on the match page? For example, adding the color bars together, 57.89 vs 101.25 shared cM on match page. Sorry to ask so many probably beginner questions. I have answered one of my own questions – reset the number of cM to 1 – duh. But now I have another – as you go through your list of matches 2-4th they are listed in order of the longest block – then it starts over with the 3rd to fifth listing the longest block – since the first match in that group for me shares a segment of 30 cM with 5 additional segments that are all under 5, is it the combination of longer segments and number of segments that make for a closer relationship? I am Ashkenazi Jew on my father’s side if that is relevant. 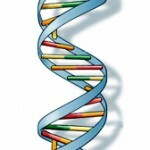 Carolyn you should read Kelly Wheatons begginer guide to genetic genealogy. I don’t have a link but google Kelly Wheaton genealogy and it will come up. Good luck. Thanks for posting this, Heather — and the link to Kelly’s excellent beginner’s guide is here.